UK offshore union Unite is urging people to join its organization in an effort to combat pay cuts to workers. The union took a step towards strike action on the UKCS earlier this year, as it served an official strike ballot notice to the Offshore Contractors Association (OCA) over a pay dispute. “Our members are growing angry over the behaviour of the OCA employers,” Unite Regional Officer John Boland said in a statement sent to Rigzone in April. “If we are going to settle this dispute, we need substance, not spin. Until we get genuine commitment from the OCA to improve their offer, we will continue to act on our members’ wishes, and give them the chance to have a say on possible industrial action, including strike action,” he added. Unite’s OCA pay ballot runs until June 30. This can only be achieved with High Union density in a workplace and the High Union participation by Union members in a workplace. You can join a Unite if you are an employee, self-employed, student or unemployed please see link for more details see links below. Unite the Union in the Oil & Gas Offshore Sector (UKCS) will continue to campaign and recruit offshore workers into Unite in order to to build membership density to have collective strength in numbers of workers in the Union (That’s what a union does its day to day business is to organise workers to have a real say in their working lives and even up the power base within the contract of employment and the employer- employee relationship). Unite the union is a not for profit organisation where the membership through the Unite rulebook and constitutional committees which elected lay member shop stewards and Branch officials decide Unites policy and which campaigns and which direction it follows. All staff assist the lay member democracy to achieve the goals and aims, Unite Policy Conference, the National Executive Council and recommendations and policy through National and regional industrial sector committees, through input from Unite workplace and area branches ,and area activist committees and retired member branches , and minority workers and group branches covering the equalities and diversity of our membership encompassing Lesbian- Bi -Gay and Transgender (LBGT) , Black and Ethnic Minorities (BEM). Unite the union is a not for profit organisation where the membership through the Unite rulebook and constitutional committees which elected lay member shop stewards and Branch officials decide Unite policy and which campaigns and direction it follows. All staff assist the lay member democracy to achieve the goals and aims, Unite Policy Conference, the National Executive Council and recommendations and policy through National and regional industrial sector committees, through input from Unite workplace and area branches ,and area activist committees and retired member branches, and minority workers and group branches covering the equalities and diversity of our membership encompassing Lesbian- Bi -Gay and Transgender (LBGT), Black and Ethnic Minorities (BEM) ,Youth, Retired Disabled Youth and Women committees and branches of their Unite and are all through supported from Unite Staff, Regional and National Officers, Industrial, Department, Community and Life – long Learning Organisers, Unite`s Education and lifelong learning department, learning legal & affiliation department. If you are not yet a member of a Trade Union and work offshore can you afford not to Join? OSLO, June 10 (Reuters) – Norwegian oil and gas firms secured a wage agreement with workers on Saturday, ending the threat of a strike that would have cut output at five fields, employers said. The Norwegian Oil and Gas Association (NOG), which negotiated on behalf of energy firms, had warned that a strike by the Lederne trade union would have cut oil and gas output by 443,500 barrels of oil equivalent per day. OCA Pay Ballot 2017 Unique campaign web page dedicated to Unite members and supporters who are taking part in the Offshore Contractors Association (OCA) Pay Dispute 2017. This web page is dedicated to Unite members who are taking part in the Offshore Contractors Association (OCA) Pay Dispute 2017. OCA Dispute ballot 4 weeks to go! Advances in artificial intelligence, robotics, and automation, supported by substantial capital investments, are fueling a new era of intelligent automation, which is likely to become an important driver of organisational performance in the years to come. It is important for trade unions and workers within companies in all sections of the oil and gas sector Upstream – mid – stream and down -stream understand the change and adopt strategies through their collective bargaining agreements (CBAs) and trade union power against the risks of intelligent automation, employers may feel they will fall behind their competitors in their bottom line and profit and their share price. This will be another challenge for offshore trade unions to ensure workers are up-skilled and part of the process of negotiation to any threats to skills and jobs in the UKCS Oil &Gas sector. Risk management: assessing and mitigating a host of risks, from cyber threats and privacy breaches to product liability and even claims of discrimination, which could be leveled at poorly trained robotic recruiting agents. Companies, in the example above, may need outside expertise in artificial intelligence and data science to extract greater value from the rich data assets they already control. For others, benefiting from intelligent automation may require identifying and securing rights to third-party data sources that could power a machine learning system. Yet more reasons to have the valuable trade union experience, expertise and advice in the world of work to protect your skills and jobs and future. The fledgling Oil and Gas Technology Centre (OGTC) is seeking inspiration for novel ways of using “plug-and-play” robots to cut asset inspection costs and help unlock marginal discoveries in the North Sea. On Monday, Aberdeen-based OGTC will launch two “calls for ideas” (CfIs), each backed by investment funding worth about £1million. Innovators can grab a share of the cash if they demonstrate their technology concept or idea can deliver transformation against a specific theme. Ultimately, the aim is to tap 225 “small pools” of UK North Sea oil that are currently deemed too costly to develop. One of the CfIs is focused on asset integrity, where OGTC is looking at how robotics could be used for the non-intrusive inspection – often in confined spaces – of pressure vessels and tanks. The small pools CfI is aimed at standardising a subsea development life-cycle approach to support the rapid engineering and delivery of projects, better connectivity between modular components and the transfer of equipment from one field to another. It also seeks to promote the use of key supplier components and resolve technology conflicts between current and future systems. OGTC – launched just last year – will accept submissions for both CfIs from Monday until July 31. Full technical details and an of overview of the process will soon be available on the centre’s website. Rebecca Allison, asset integrity solution centre manager, OGTC, said: “We’re looking for deployable robotic technologies for pressure vessel and tank inspections that reduce cost, improve quality, increase efficiency and enhance safety. OGTC small pools solution centre manager Chris Pearson added: “Designing plug-and-play subsea equipment for developing marginal oil and gas fields is an opportunity recognised by all exploration and production companies. It is hoped the introduction of similarly innovative technology to the offshore sector could “significantly” lower the cost of developing North Sea fields and help maximise economic recovery of the estimated 10-20billion barrels of oil and gas that remain. Submissions for the two CfIs will be evaluated on criteria including value creation, sound scientific principles, time, cost and risk reduction. Successful innovators will receive professional guidance, funding and support to develop their ideas towards the next stage of development. The CfIs are part of OGTC’s Open Innovation programme, which aims to unlock the full potential of the UK North Sea. 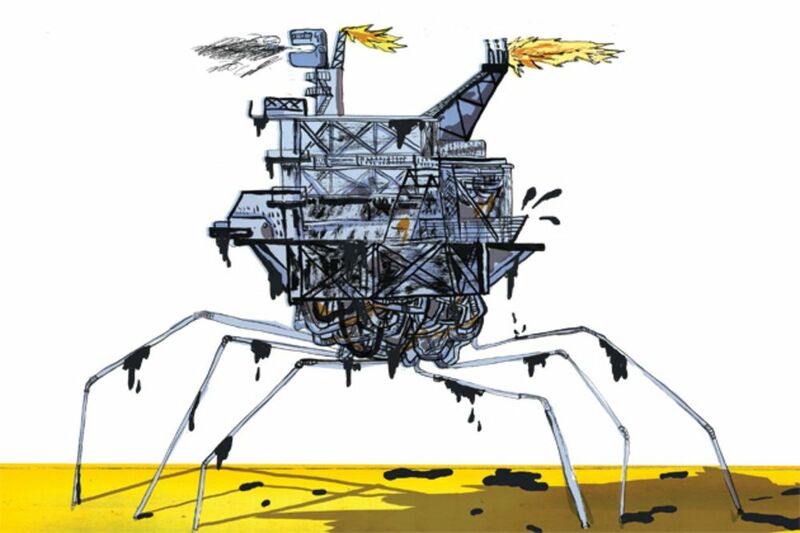 NASA’s Mars rover may have something to teach the oil industry. Safely traversing the Red Planet while beaming data through space turns out to have a lot in common with exploring the deepest recesses of earth in search of crude oil and natural gas. 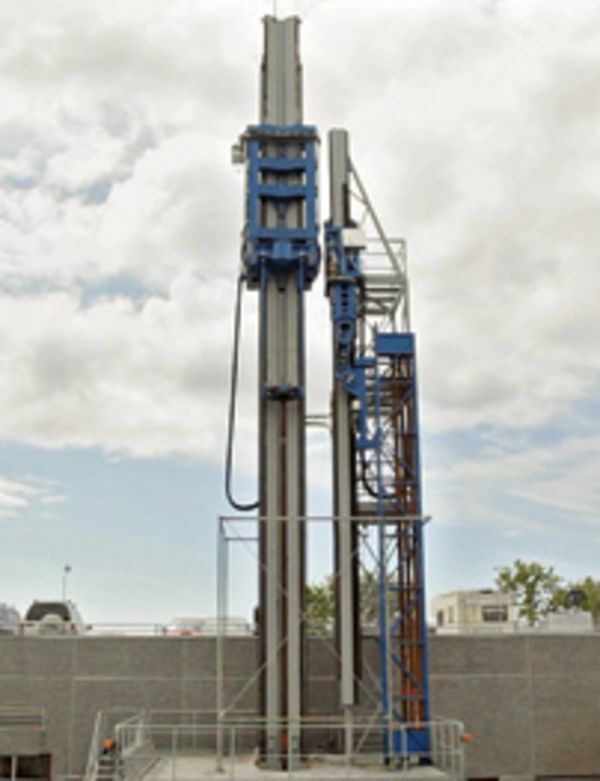 Robotic Drilling Systems, a small Norwegian company that’s bent on developing a drilling rig that can think for itself, has signed an information-sharing agreement with NASA to discover what it might learn from Curiosity. Apache, National Oilwell Varco, and Statoil are among the companies working on technology that will take humans out of the most repetitive, dangerous, and time-consuming parts of oil field work. “It sounds futuristic,” says Kenneth Sondervik, sales and marketing vice president for Robotic Drilling Systems. He compares it to other areas that have become highly automated, such as auto manufacturing or cruise missile systems. The 2010 BP disaster in the Gulf of Mexico helped shift attitudes, says Clay Williams, chief financial officer at National Oilwell Varco. Eleven men were killed when the Deepwater Horizon rig caught fire and sank. Statoil has projected that automation may cut in half the number of workers needed on an offshore rig and help complete jobs 25 percent faster, says Steinar Strom, former head of a research and development unit on automation at the Norwegian company. Robotic Drilling Systems is designing a series of robots to take over the repeatable tasks now done by deckhands, roughnecks, and pipehandlers on a rig. Its blue, 10-foot-tall robot deckhand has a jointed arm that can extend about 10 feet, with 15 or so interchangeable hands of assorted sizes. The robot is anchored in place to give it better leverage as it lifts drill bits that weigh more than a ton and maneuvers them into place. The company is also collaborating with researchers at Stanford University on a three-fingered robot hand embedded with sensors that give it a touch delicate enough to pick up an egg without crushing it. The Mars rover is designed to collect data and take action on its own based on programmed “reasoning.” As a step in that direction, some companies are working on technology that will make drill bits more intelligent and able to respond instantly to conditions they encounter, such as extreme temperatures or high pressures. National Oilwell Varco and Schlumberger have developed drill pipe wired with high-speed data lines to allow the bit to feed information to workers at the surface. Apache is writing software that will essentially allow the drill bit to think for itself, communicating directly with equipment at the surface that controls speed and direction. Graham Brander, the company’s director of worldwide drilling, sees it working much like a plane on autopilot, flying on its own with a human on standby, ready to assume the controls if necessary. “That’s what I view very much as the automation model for the oil and gas business,” he says. Not yet a member of an offshore trade union, can you afford not to be a member?